Lovers and Lunatics is a foray into the realm of humor. I’ve always been impressed by humorists who are able to capably turn out book-length comedy. It’s a rare quality. PG Wodehouse, Kingsley Amis and Richard Powell are three of my most favorite authors in that genre. All extremely funny, of course, but with rather different sensibilities. That said, their handling of humor is unparalleled in my opinion. 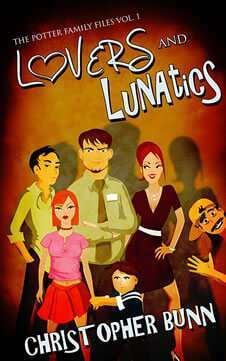 Lovers and Lunatics is available on Amazon.